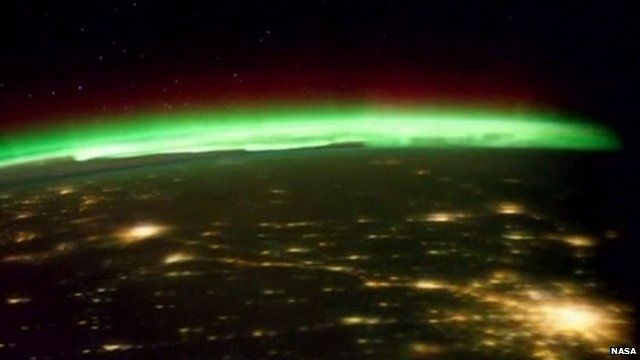 Northern Lights captured from space Jump to media player The first 'moving' images of the Northern lights, or Aurora Borealis, as seen from Space have been released by Nasa, after they harnessed a new time-lapse photographic technique. How do the Northern Lights happen? Jump to media player The Northern Lights have been seen in Northern England and Scotland for the first time in 10 years. 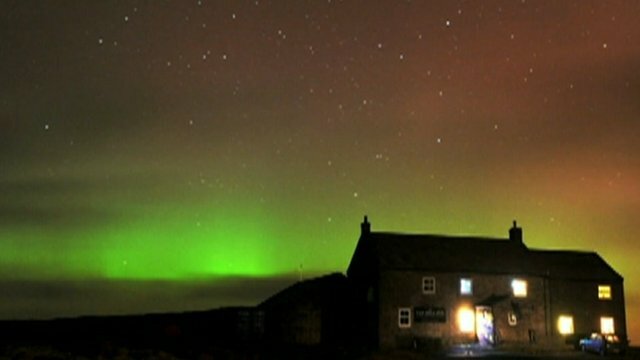 In search of Northern Lights in the UK Jump to media player The Aurora Borealis, known as The Northern Lights, have been visible over Scotland and large parts of northern England. 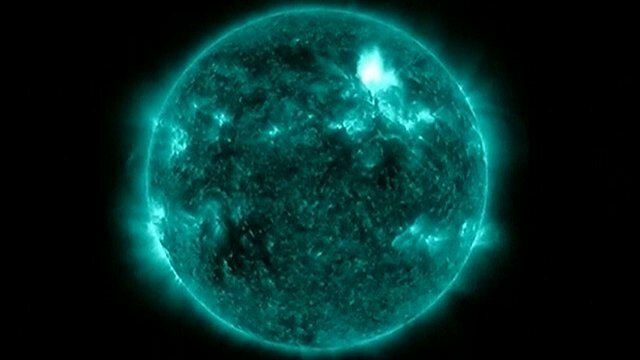 Solar storm causes lights and some disruption Jump to media player The most intense solar storm to have been recorded in the past six years has been responsible for the spectacular Northern Lights show witnessed across many northern areas of earth this week. New images of the Northern Lights, or Aurora Borealis, have been captured by Nasa using a new time-lapse photographic technique. By combining hundreds of stills taken from the International Space Station, they have produced the first 'moving' images of the spectacle. Nasa Earth Scientist Melissa Dawson explains how she happened on the technique almost by accident, when looking over other material from the ISS. Go to next video: How do the Northern Lights happen?